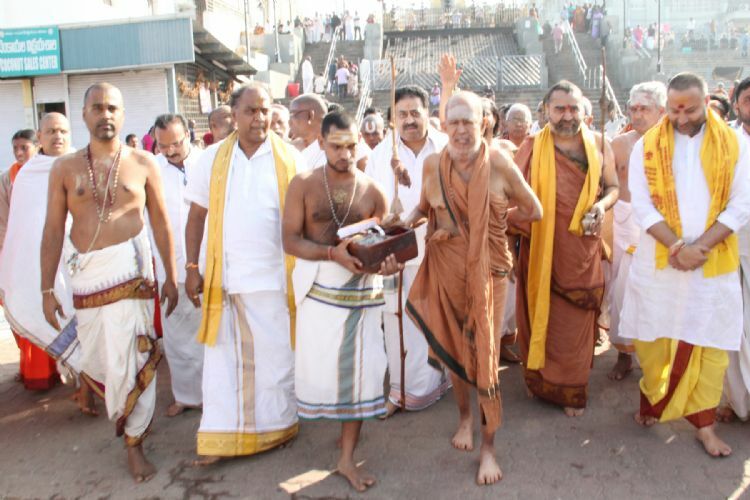 Kanchi Mutt Pontiff H.H.Sri Sri Jayendra Saraswathi, Junior Pontiff of Kanchi Mutt HH Sri Vijayendra Swamiji had the blessings of Lord Venkateswara at Tirumala on Friday morning. TTD JEO Sri KS Sreenivasa Raju welcomed them with Temple honors. He rendered the Vinjamara Seva to Lord Balaji.